The truly incredible story of a guy named Kirk Johnson who started a list of hundreds of Iraqis who needed to get out of their country. They were getting death threats, and he was their only hope. Only 26 and living in his aunt’s basement, he had no idea what to do. How Kirk kind of succeeded spectacularly and failed spectacularly at the same time. For stories of individual refugees, visit https://iraqistories.wordpress.com/. Arts Classes for Refugees in Amman, Jordan, Summer 2013, a set on Flickr. The Baath regime executed this woman’s husband. After the occupation, one of her sons discovered an explosive device on a street in Baghdad and reported it to the authorities. The militia threatened vengeance on the son’s family. They then fled to Jordan. 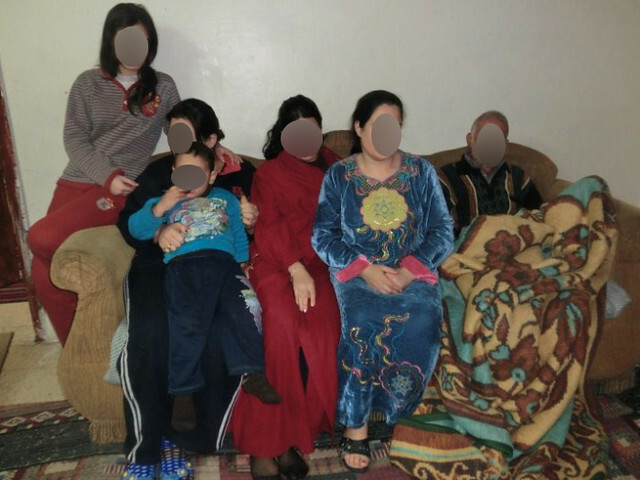 This widow is joined in Amman by her unmarried sister and her two children. 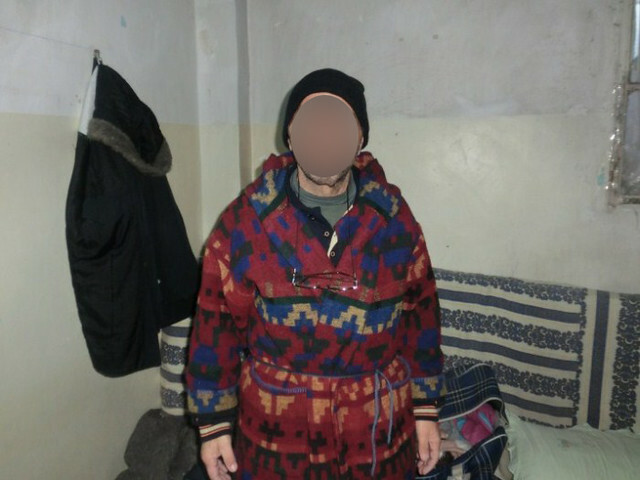 The family does not receive cash assistance from UNHCR. Their economic situation is difficult. Because this elderly woman is a christian, she was threatened in Iraq and fled to Jordan. There, she lives on her own. She receives no cash assistance from UNHCR. This is a picture from her sparsely furnished home. This man lives with his wife. They have no children. They were threatened in Baghdad because they were Christians. The militia told them they must leave within 24 hours. The man is epileptic and has diabetes. They need medicine regularly, and they can’t afford it. They need help. They receive no cash assistance from UNHCR. This family consists of a mother, her son and his wife. In Iraq, militia invaded their home. The son was not home. The militia members severely tortured the mother and her daughter-in-law. She lost her baby, and she lost vision in both of her eyes. In Jordan, she has had an operation which restored vision in one eye. The second operation is schedule in 8 months. This is a picture of their home. In Iraq, a young woman was involved in an activist group with people from all religions. An interview with her was broadcast on TV. Afterwards, militia came to her home. A sister was alone with her son. The militia members broke the child’s leg. They told the family that they should leave in 72 hours. In Jordan, she, her two siblings, her sister’s husband and two children, her parents and her paternal uncle, a total of nine people, live in a small, poorly furnished house. Her paternal uncle and father are sick. They don’t receive cash assistance .